Guide for Getting a China Visa for the Visitors | Go For Visa | Australia Immigration Consultant & Visa Experts in India. China is definitely one of the super powered nations in the continent of Asia and this attracts most of the businesses as well as people from all over the world to visit the country. China is also known as a country with lots of traditions and unique culture among the people. Most of the people throughout the world are highly curious about getting to know about China more and more on their culture as well as traditions apart from business and technology. If you are wondering what is the good opportunity to work in China easily then it is easy to guess for you, Teaching English; Yes, English is one of the demanded skills in China as the country focuses on learning English in order to show their global presence more effectively. If you are good at English then you have great chance in visiting China easily at low cost. This is also a great opportunity for you to earn more money teaching English to the people in China. Like any other country, China immigration also needs a Work Visa in order to provide authority to work in China for employers from any part of the world. For example, if you want to work in China then you need to Work Visa invitation from the employers in the country. The travelers on the other hand can apply for Tourist Visa which is usually applicable only for 30 days and you need to approach the concern immigration authorities in the nation to extend your stay on the country. It is also suggested for you to get some assistance from Immigration visa experts while applying for Tourist Visa in order to know about its limitations and validity details carefully. The traveling enthusiasts will certainly love this country as it offers lot of exciting sightseeing and cultural festivals throughout the year. You can also take part in some of the traditional events conducted by the locals which gives you special and memorable experience. The help of immigration consultants enable you to enjoy the journey on this country without worrying about the immigration procedures all the time. 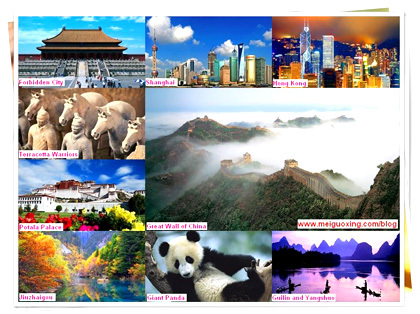 Therefore, choose the best immigration service in order to have hassles free tour experience in China.